Now that “UFC 217: Bisping vs. St-Pierre” is officially in the books, make sure to stream tonight’s post-fight press conference live right here on 5thRound.com. The presser is scheduled to start at approximately 1:30AM ET/10:30PM PT. 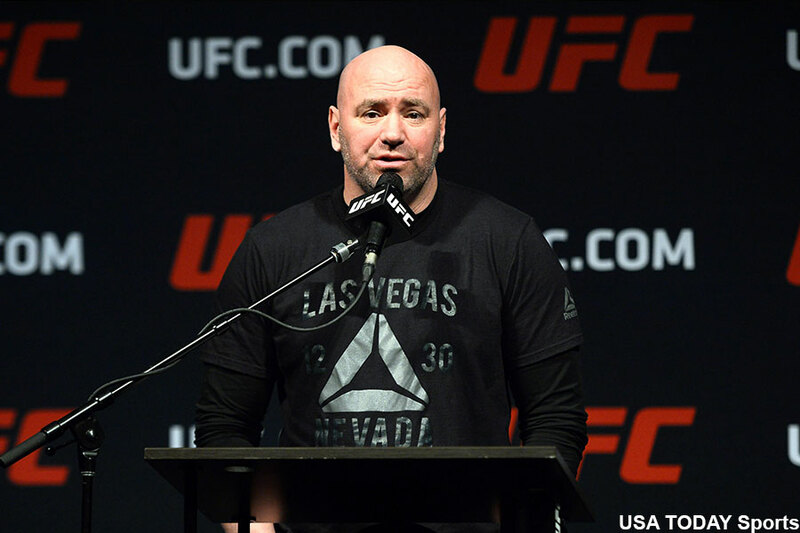 In addition to UFC president Dana White (pictured), Georges St-Pierre, Michael Bisping, Cody Garbrandt, TJ Dillashaw, Joanna Jedrzejczyk, Rose Namajunas and the card’s other featured fighters who won’t require medical attention are also expected to face the firing squad. UFC 217 took place Saturday inside Madison Square Garden in New York.